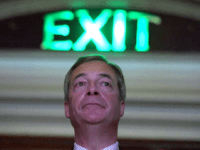 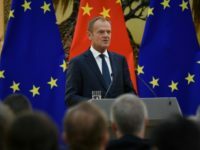 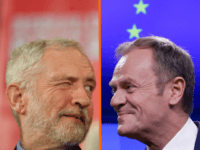 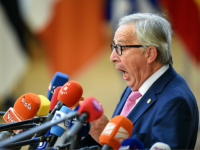 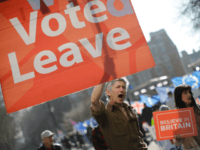 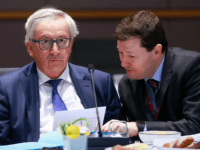 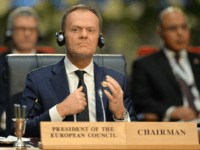 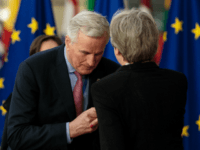 The European Union is pushing for a lengthy extension of Britain’s negotiations for Brexit, pushing exit day well beyond March 29th — and leaving British officials to plan for Britain to participate in the European Parliament elections in May as if nothing has changed. 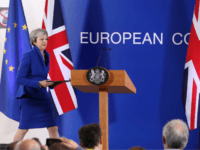 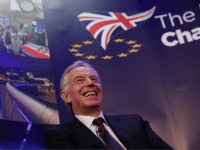 The Democratic Unionist Party has slammed the EU’s “degrading proposal” to allow Britain to leave the “backstop” envisioned in Theresa May’s proposed Brexit deal without their permission — as long as Northern Ireland is left behind. 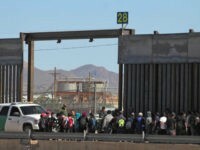 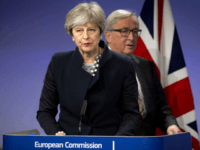 Several senior European politicians and bureaucrats have spoken out Monday to pour cold water on British hopes of achieving even modest changes in the Brexit ‘deal’ arranged by Prime Minister Theresa May, as the nation closes in on the March 29th departure date. 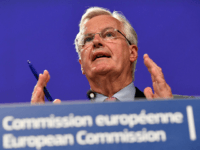 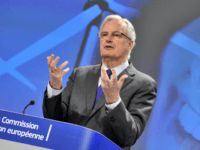 LONDON (AP) — The European Union’s chief Brexit negotiator says if Britain withdraws without a deal with the EU, he still wants to avoid a hard border between Ireland and Northern Ireland. 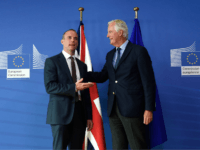 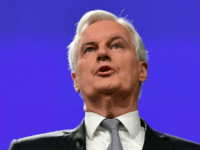 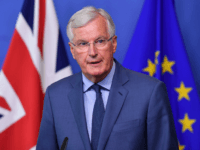 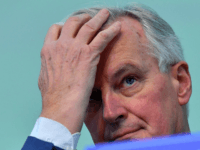 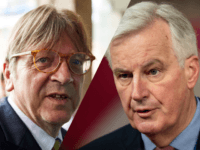 (AFP) — The British government will face a multi-billion-euro divorce settlement with the European Union even if it leaves the bloc without a deal, Brussels negotiator Michel Barnier warned Wednesday. 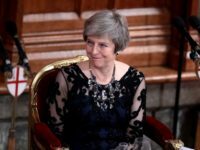 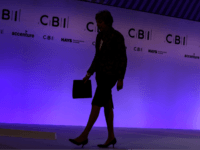 Theresa May requested the part of her proposed Brexit withdrawal agreement that could lock the UK to the European Union’s (EU) trade laws in the long term, the bloc’s chief Brexit negotiator has revealed. 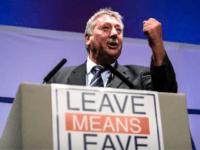 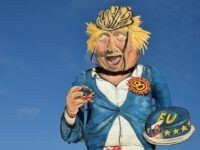 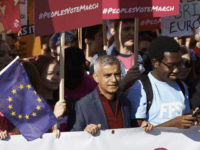 Prominent Conservative Boris Johnson has again given his verdict on the Brexit process, breaking his silence to attack it as a betrayal that would relegate Britain to accepting colonial rule. 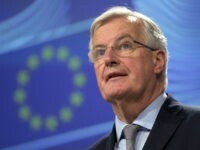 The European Union largely abandoned the hope of clinching a Brexit deal this month and a top EU official implored British Prime Minister Theresa May on Tuesday to come up with “a new method of thinking” on the Irish border issue that has stumped negotiators for over a year. 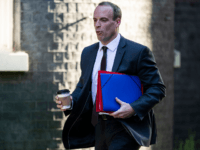 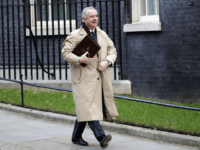 LONDON (AP) – Britain’s Brexit secretary made a rush visit to Brussels on Sunday for surprise talks with the top European Union negotiator as Brexit talks accelerated ahead of a summit later this week. 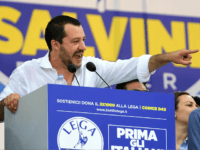 Italy’s new Deputy Prime Minister Matteo Salvini has made a shock intervention in the Brexit negotiations, warning there is “no good faith” on the EU’s side. 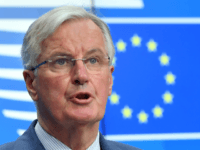 EU lead negotiator Michel Barnier has holed Theresa May’s ultra-soft Brexit plan below the waterline, rejecting her proposal — seen as a major concession by Brexiteers — for Britain to collect customs duties on the EU’s behalf.